Finding the most economical and time effective solution for your transferee. Depending on the destination country, the process to live and work in compliance with the local legislation can vary greatly. More specifically what immigration services do we assist with? 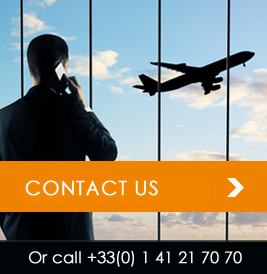 In France and overseas, we assist employers to obtain visas and permits with work authorisation. We also assist employees with local social security registration, obtaining a driver’s license, vehicle registration and registration with social organisations. Which assets does our team have to successfully conduct every assignment? Our team has extensive experience in this domain and we regularly update our regulatory and legislative knowledge thanks to an ongoing training programme. Our relationship with our network in the relevant Ministries and administrative departments is also an important asset. These contacts make procedures and complex files follow-up much easier. And last but not the least, we are able to guarantee our clients that we can meet precise deadlines.